Nichol Olsen's ex-husband and Alexa's father, Carlos Montez, said he knows in his heart that Olsen wouldn't do anything to hurt her children or take her own life. 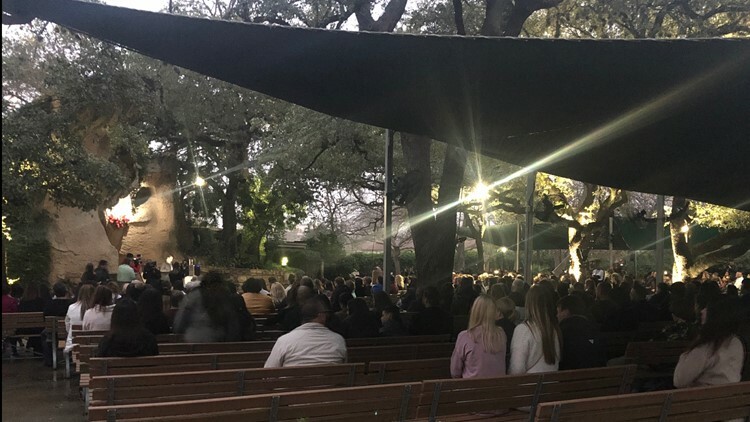 SAN ANTONIO, Texas — Strangers were united by tragedy last week, and on Wednesday a candlelight vigil was held to remember a mother and her two daughters found dead in a luxurious Bexar County home. Nichol Olsen, her 10-year-old daughter, London Bribiescas, and 16-year-old Alexa Montez died nearly a week ago. However, mystery still surrounds their deaths. Meanwhile, Olsen's ex-husband and Alexa's father, Carlos Montez, said he knows in his heart that Olsen wouldn't do anything to hurt her children or take her own life. "We want the truth to be told," he said. "We want the truth to come out." He's in disbelief they're gone. Montez said Olsen was a good mother. "Even to this day, our relationship as ex-spouses was great," he said. "We never fought our argued when it came to Alexa. I never doubted her choices as a mother. She always made great decisions." Montez was among several speakers at the vigil who not only shared their memories, but made it clear how they feel about the investigation. "We all have our suspicions and what we suspect, but I'm not going to blatantly say what I think," he said. "But I can know and say Nichol could not have done this." The three were found dead in a home by Olsen's current boyfriend. The Bexar County Medical Examiner ruled the mother's death as a suicide and the two daughter's deaths as homicides by gunshot. "I know, and I can say, that Nichol could not have done this," he said. "The home she was living in, we just feel it wasn't a great place for our children to have been loved." Montez said funeral arrangements are still being finalized. But he added all the families want to keep the three together. He encourages anyone wanting to help to just simply have a "servant's heart" just like that of his late 16-year-old daughter. In regards to the investigation, county sheriff's office investigators interviewed a friend of the family Wednesday. In his last update, Bexar County Sheriff Javier Salazar said this case is far from over. Salazar said the medical examiner's findings are independent from BCSO. Investigators are examining several things, including video surveillance from neighbors, social media and cell phone records of all involved, and text messages.